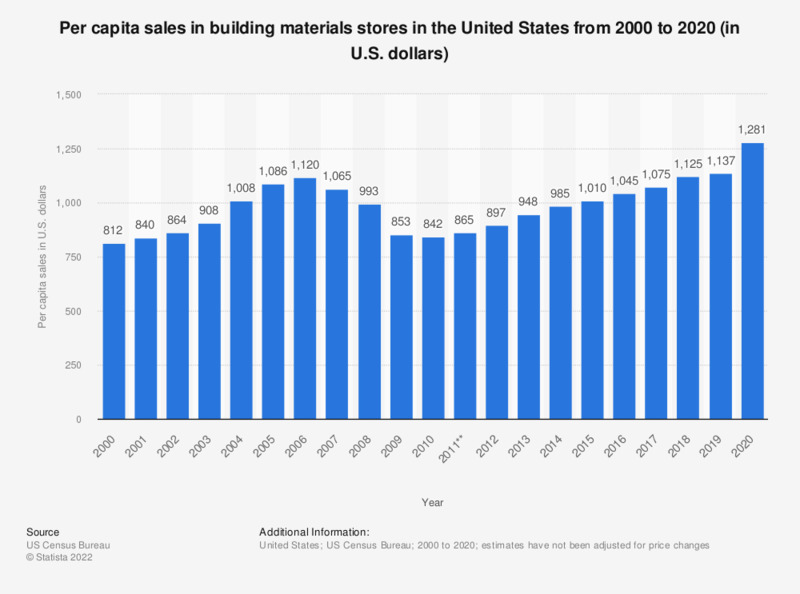 This timeline shows the per capita sales in building materials stores in the United States from 2000 to 2016. In 2016, U.S. per capita sales in building materials stores amounted to 1,080 U.S. dollars. * Includes garden equipment and supplies dealers stores.